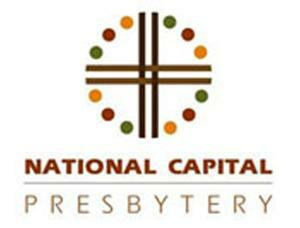 The National Capital Presbytery is made up of 108 Churches, and about 36,000 members. The Presbytery serves Washington, DC, Northern Virginia, and part of Maryland. The Presbyery office is located at One Central Plaza, 11300 Rockville Pike, Suite 1009, Rockville, MD 20852. The Vision of the Presbytery is "A New and Living Way." Confident in the "new and living way" of Jesus Christ, the lay and clergy leaders of the Presbytery have committed themsleves to "hold fast to the confession of our hope...encouraging one another to love and good works," (Hebrews 10:20-24). Guided by the Word, sustained by the sacraments and empowered by the Spirit, the Presbytery participates with God to strengthen and transform congregations to be missional, pastoral, and prophetic, so that the glorification of God may be seen in actions and attitudes that demonstrate the love revealed through Jesus Christ our Lord.